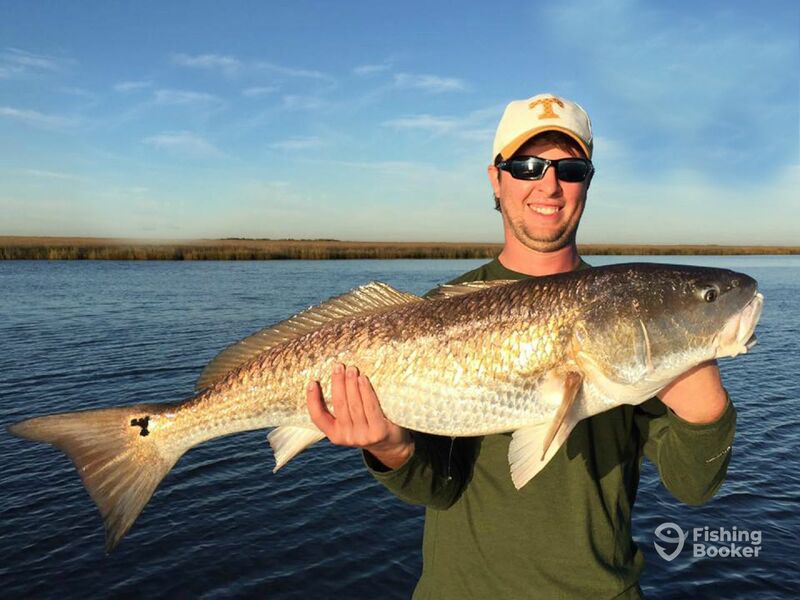 With New Orleans Style Fishing Charters, the beautiful waters of Louisiana will be all yours. 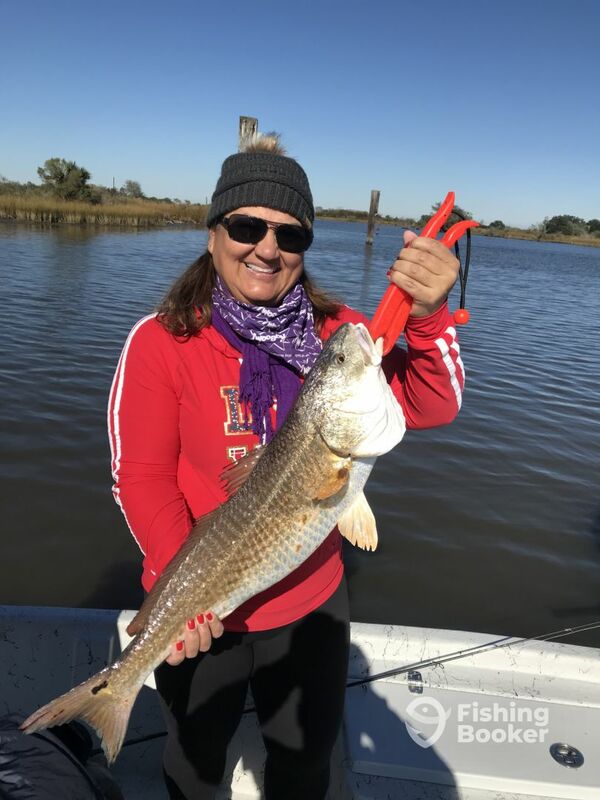 On your day out with Captain Jason Shilling, you will be able to fish the backwater marsh, lakes, bays, and bayous of Lafitte the way they’re meant to be fished. 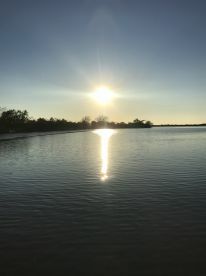 Lafitte is located just 40 minutes south of New Orleans. This fantastic holds some of the finest angling opportunities around. 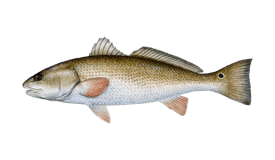 You can get your hands on anything from hard-fighting Redfish to Black Drum, Sheepshead, Flounder, and the paper-mouthed Speckled Trout. 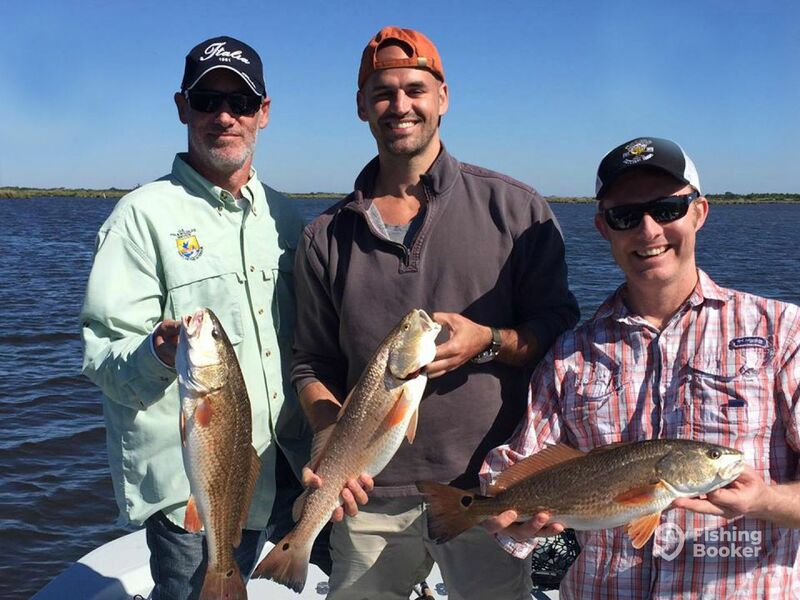 All trips with Captain Jason Shilling are private charters that cater to anglers of all skill levels and expertise. A seasoned veteran, a family with young kids, or a complete beginner, there is a trip for you. Capt. 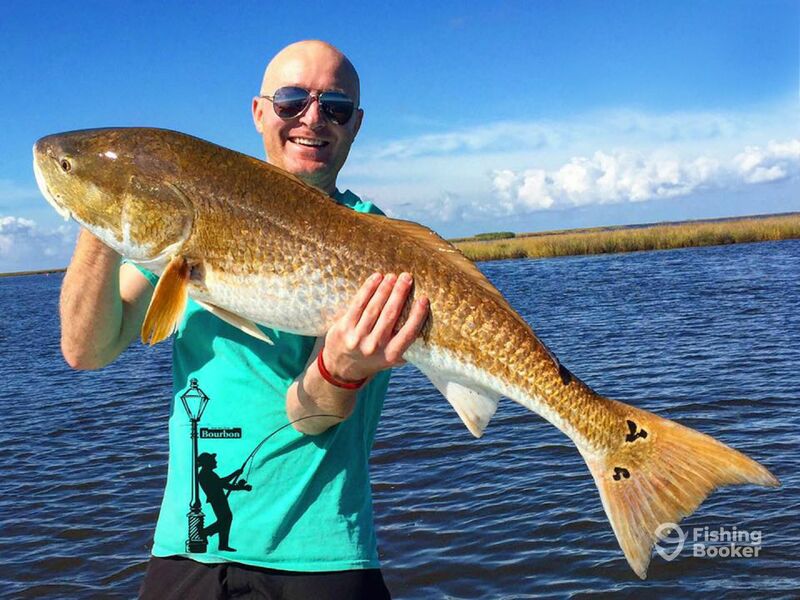 Jason will put his talent to work for you and will have you all reeling in fish in no time. Your adventure will begin at safe light from Nick’s Marina and will last for about 6 hours. 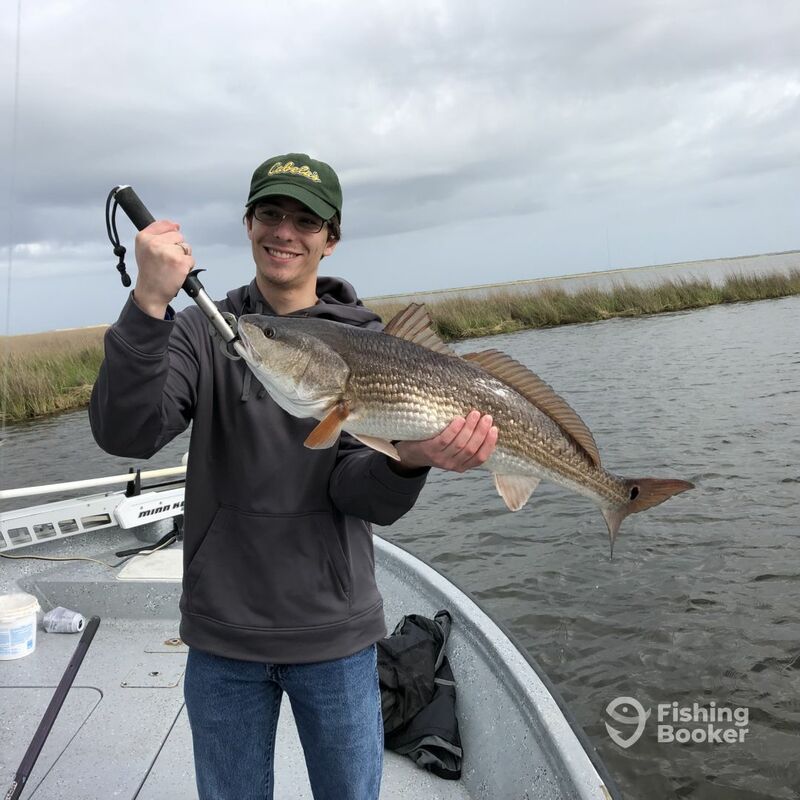 Before you make your first cast, you will need to purchase a $10 Louisiana fishing license for anyone in your party who’s 16 or older. You can get your license in advance by phone or online. 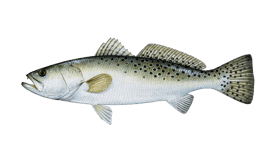 All gear, tackle, and lures, as well as soft drinks, bottled water, and a complimentary fish cleaning service, will be provided for the trip. 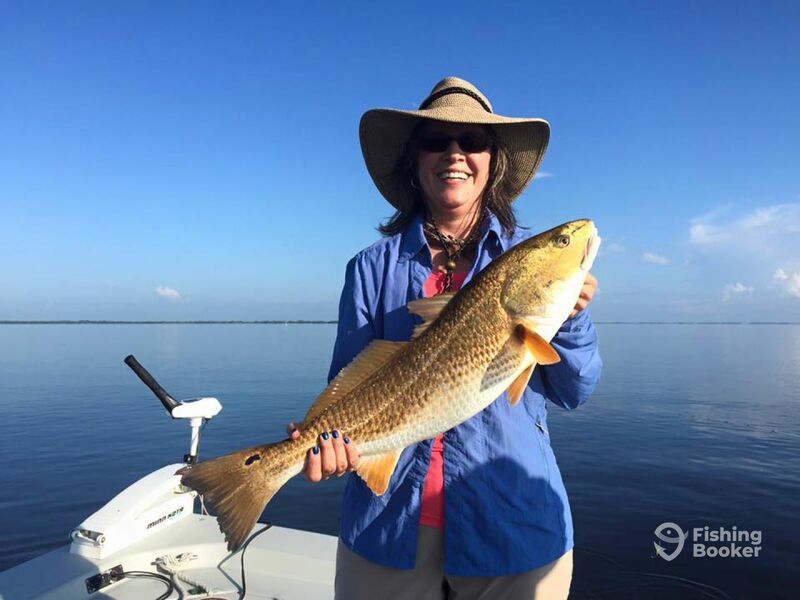 New Orleans Style Fishing Charters operates a 22’ Custom-built bay boat, which is a seaworthy fishing vessel with a 200 HP Mercury Optimax. 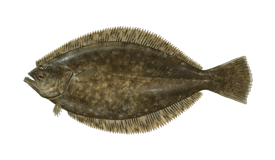 The boat is equipped with modern electronics and professional accessories to save your time while searching for fish. Enjoy the southern hospitality, good times, and a lot of action. Let Capt. 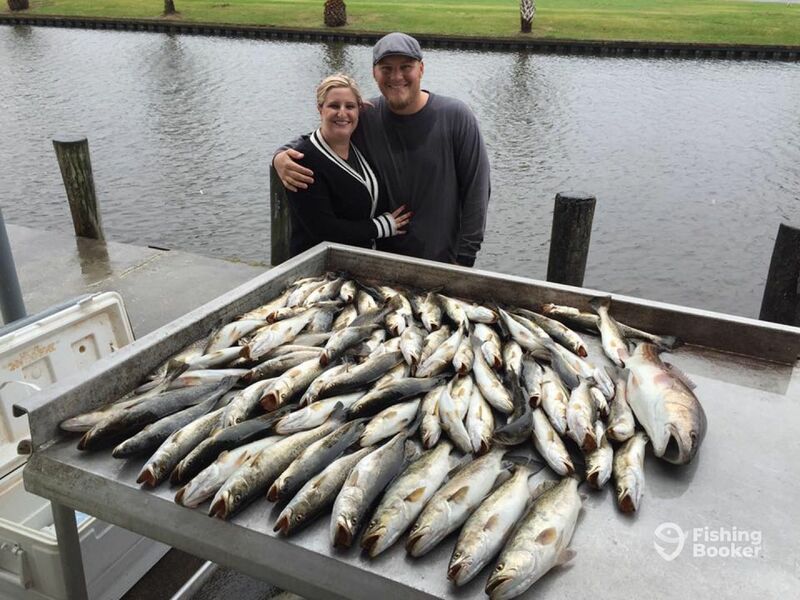 Jason take you on a fishing adventure you won’t soon forget! 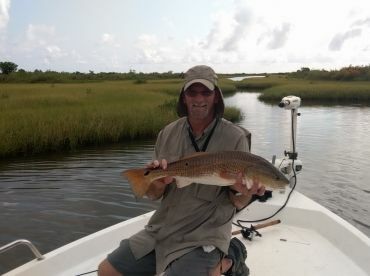 This morning trip will take you catching Redfish and Speckled Trout in the backwater marsh of New Orleans. 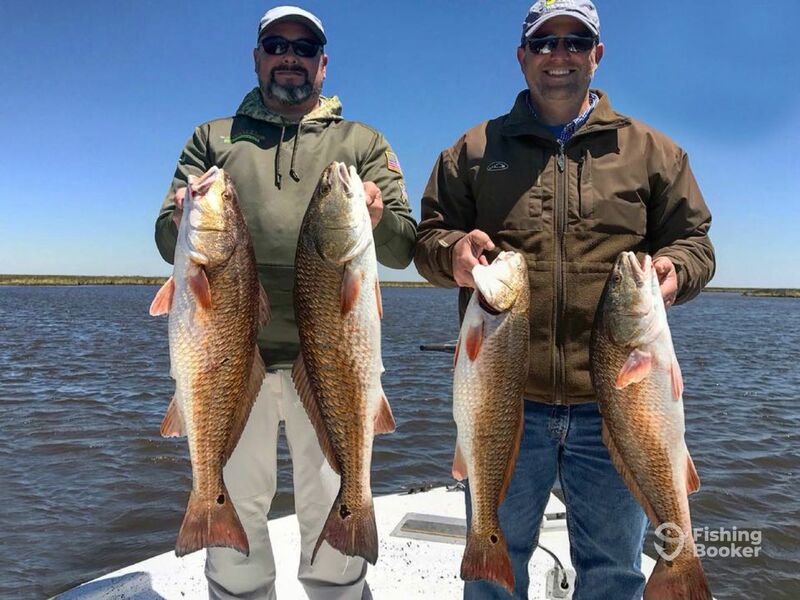 You will be provided with rods, reels, lures, tackle, drinks (Coca-Cola, Diet Cola, Sprite, and water), and a cleaning and bagging of your catch. Transportation is also available from downtown New Orleans. 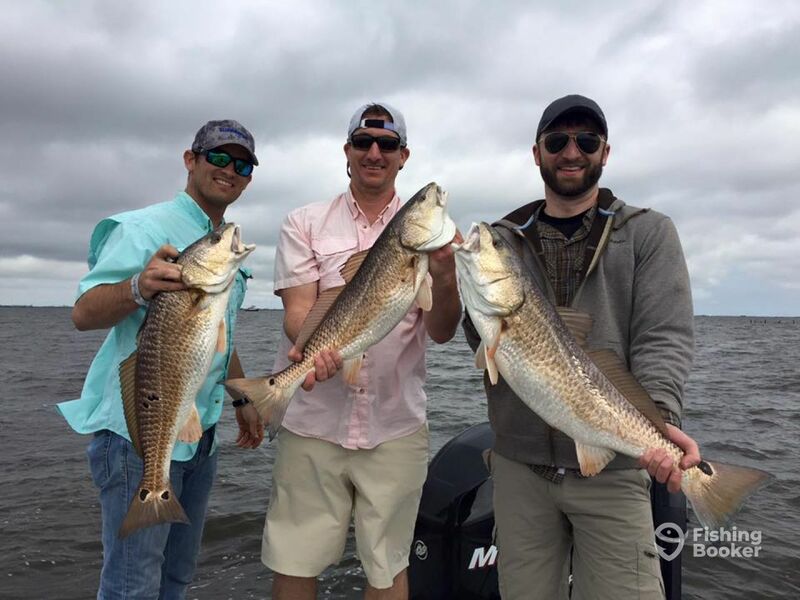 On this trip, you won't be just catching fish but also making memories that will last a lifetime. 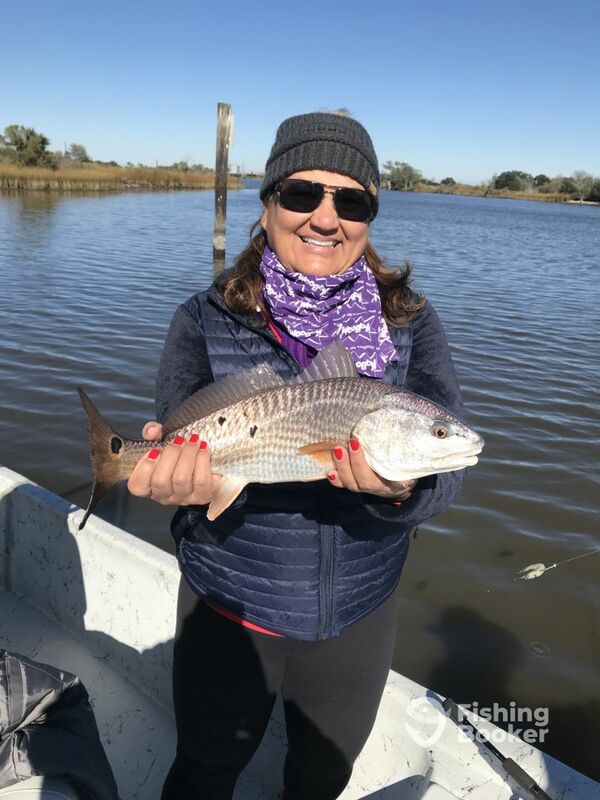 The captain will take you fishing for Redfish, Trout, and other species in the backwater marsh of New Orleans. 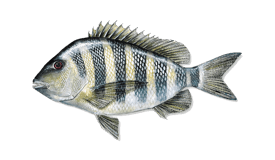 All gear and tackle will be provided for the trip, as well as soft drinks, bottled water, and fish cleaning service. FRONTIER (Performance fishing) построена в 2009. Мотор – 200HP Mercury мотор. 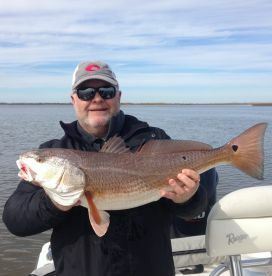 New Orleans Style Fishing Charters is run and operated by Captain Jason Shilling. 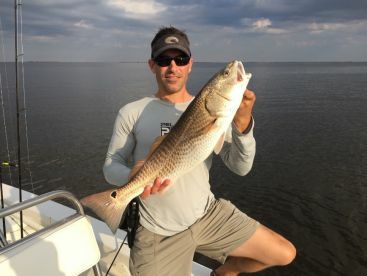 A professional angler with a wealth of local knowledge, Jason became a fishing guide to share his passion with the others. He believes there is hardly a better way to make a living than to do something you love. And it shows! Each trip with Capt. 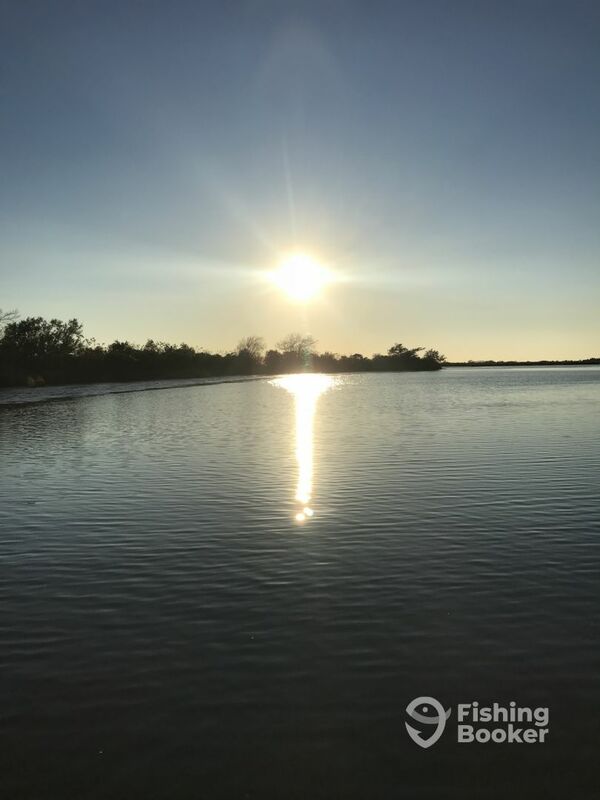 Jason is not only about catching fish; you will be able to hone your angling skills and create memories that will last a lifetime. 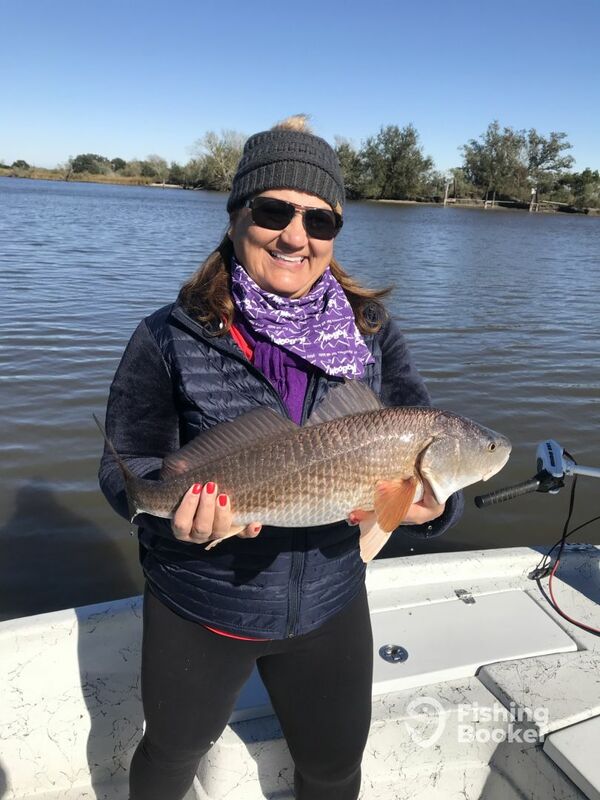 Caught Some Great Drum & Redfish! 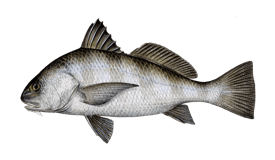 It was a cool & blustery day… and according to my search online, NOT a good day for fishing. Captain Roy (he works with Capt. Jason Shilling) took me, my California daughter, and my 2 grandsons (ages 12 & 15) out to fish. 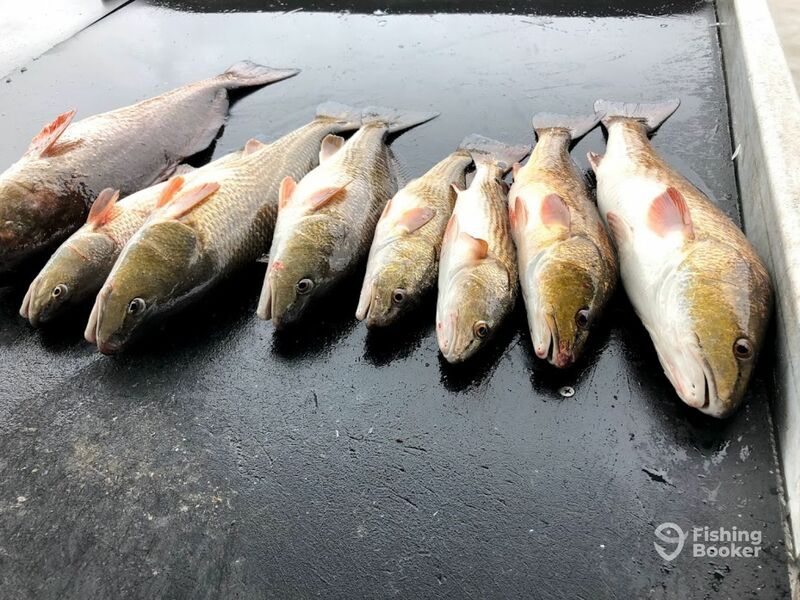 The 15-year old caught a whopping 7+ pound drum, the largest fish he ever caught, and everybody caught fish. Captain Roy was friendly, patient with the kids, and knowledgeable. The photo doesn’t do it justice, as the fish are much bigger than the photo shows. Of course, we threw back smaller fish, including some bass that put up a good fight. Capt. Roy fileted our fish when we returned to the marina and it was enough to feed 15-20 people. I cooked half of the fish that night and froze the rest. Very tasty!!! Thank you Mr Grant for coming out to fish with us. Yesterday was a tough fishing day but an enjoyable day on the water. Im glad everyone enjoyed the day and caught their share of fish. I hope to have yall fish with us again someday. We had a great time with Captain Michael. There was a recent storm and the cold front had moved in so we were a little unsure if we would actually catch. He knew exactly where to go. We found a honey hole that was fun to fish. We caught 7 keepers there. We were one short of our limits. It was an awesome day. If we ever make it back we will definitely go on another charter with him. We had a great time with Captain Michael. There was a recent storm and the cold front had moved in so we were a little unsure if we would actually catch. He knew exactly where to go. We found a honey hole that was fun to fish. We caught 7 keepers there. We were one short of our limits. It was an awesome day. If we ever make it back we will definitely go on another charter with him. 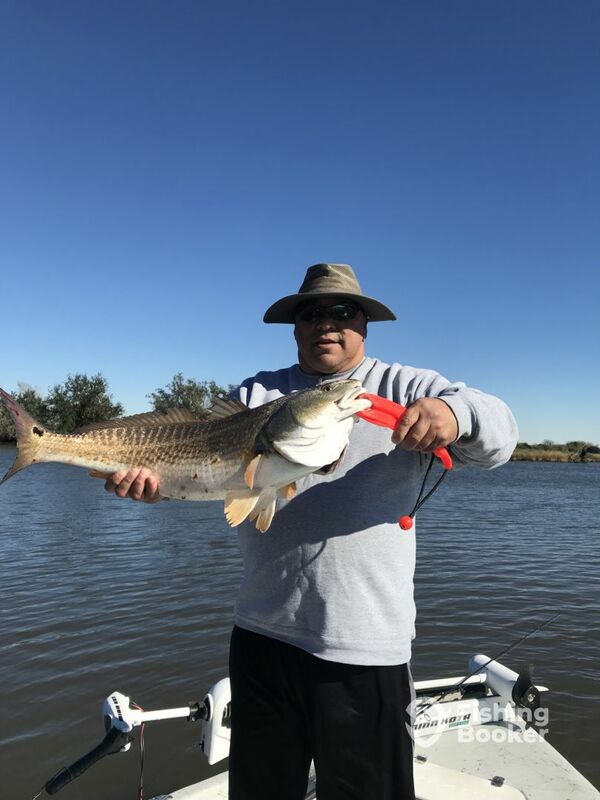 Thanks to Roy for making our morning fishing memorable and successful. It was our pleasure to jave yall fishing with us. We look forward to your return. Great experience! Captain Roy put us on fish all morning and we did our part. Great catch and my sons had a great time and great memories. 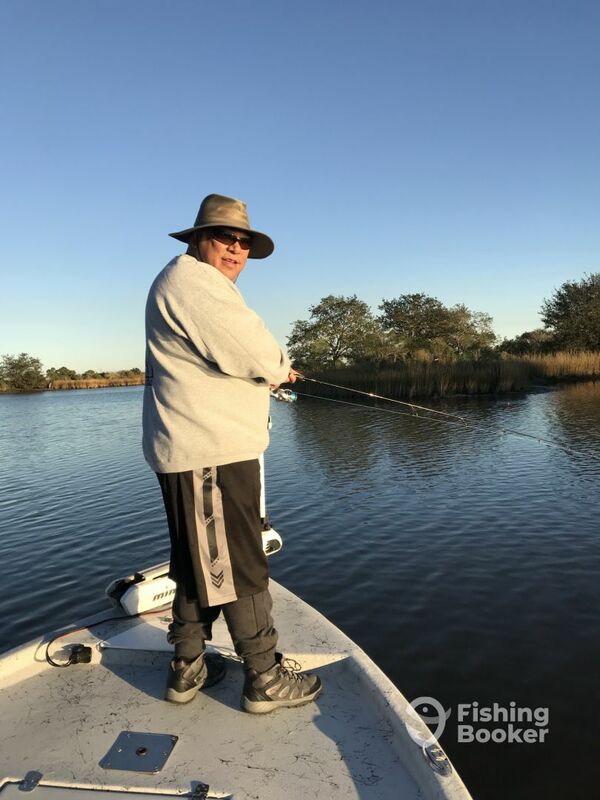 Captain Roy’s boat was exceptionally outfitted and maintained and he handled it with confidence. My only small negative reels were pretty tight and needed experienced handling. This in no way kept us from catching fish and we would book again now if we could!